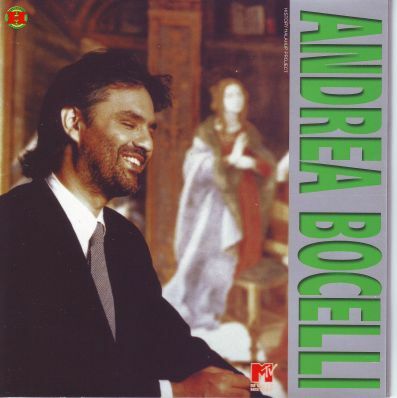 Andrea Bocelli » Music lossless (flac, ape, wav). Music archive LOSSLESS. Music lossless download. Label: Sugar. Made in IT. Label: Philips, Sugar. Made in UK. 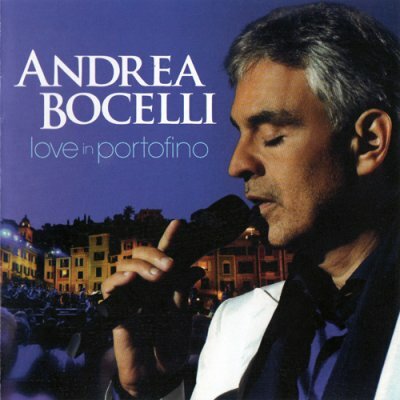 Sentimento is the ninth studio album released by Andrea Bocelli. It was recorded between 30 September and 7 October 2002, and released on 5 November 2002. 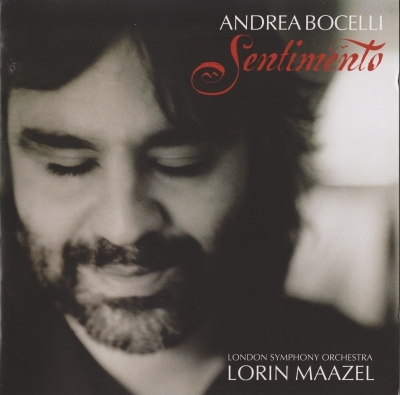 The album was conducted by Lorin Maazel with London Symphony Orchestra, and Bocelli received two 2003 Classical BRIT Awards for "Best selling classical album" and "Album of the year" for Sentimento, in 2003. Label: Sugar Music, Philips. Made in DE. 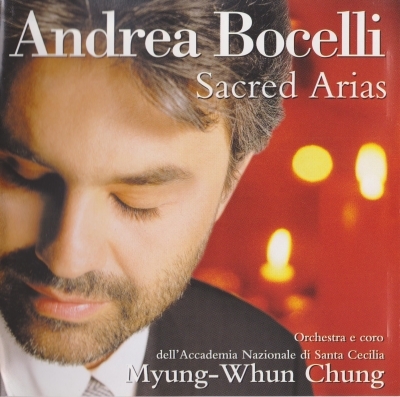 Sacred Arias (Italian: Arie Sacre), is the sixth studio album by Andrea Bocelli. Released in 1999, the album, featuring music composed in traditional Christian styles, is not only Bocelli's most commercially successful classical album to date with over 5 million copies sold, but also the biggest selling classical album by any solo artist in history. Label: Polydor, Sugar Music. Made in UK. 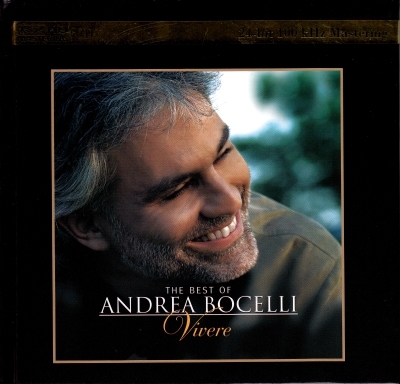 Cieli di Toscana (Tuscan Skies) is Andrea Bocelli's eighth studio album, released in 2001. Released in October 2001, the album spent a total of two weeks at No. 3 on the official UK albums chart, the highest chart position ever for a foreign-language pop album, and reached the top 5 in over 10 other countries. Label: Universal Music, Sugar Music. Made in EU. 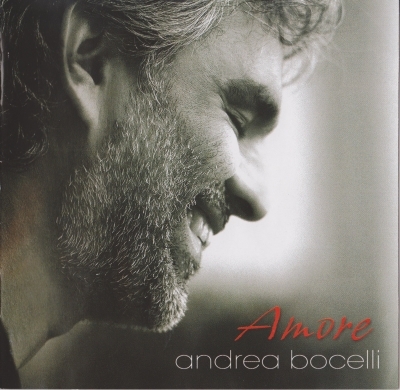 Amore is the eleventh studio album by Italian tenor Andrea Bocelli, released on 31 January 2006, for the Valentine's Day season. This album features a remake of Elvis Presley's "Can't Help Falling in Love"; "Because We Believe", the closing song of the 2006 Winter Olympics in Turin, Italy, which Bocelli wrote and performed; "Somos Novios (It's Impossible), a duet with American pop singer Christina Aguilera; and his first recording of Bésame Mucho, which eventually became one of his signature songs. Label: Sugar S.R.L., Universal Music. Made in RU. Label: Decca Records. Made in IT. Label: Sugar Music. Made in IT. Label: Sugar | Verve Music Group. Made in US. “Passione” is a Stunning Collection of Mediterranean Love Songs Featuring Duets with Jennifer Lopez, Nelly Furtado and the late Edith Piaf; Album Reunites Bocelli with Multiple Grammy-winning Producer David Foster. Label: Sugar S.r.l. Made in EU. 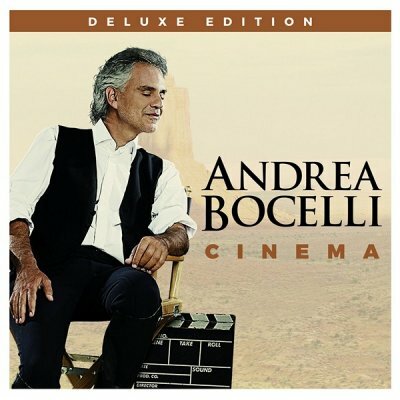 Andrea Bocelli had the idea for his latest album, Cinema, a long time ago, when he realized that many of his favorite songs from childhood made their debut on the silver screen. he album, which debuted at No. 1 on Billboard's Classical Albums chart and at No. 10 on the Billboard 200, spans film and musical genres, as well as languages, with one song in Spanish and seven of the 13 tracks in his native Italian. One of those Italian songs is a duet with pop star Ariana Grande, a favorite of Bocelli's children. Label: Halahup Music. Made in RU. Label: Sugar. Made in RU. Label: Insieme Srl. Made in IT. 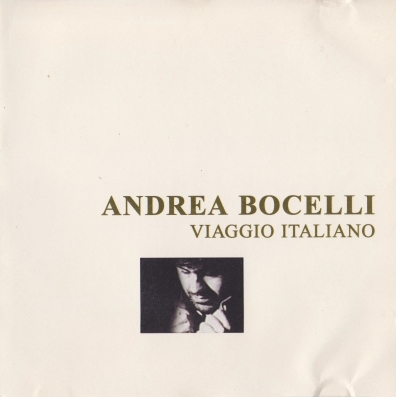 Viaggio Italiano is Andrea Bocelli's third studio album and first classical album. The album features some of the most popular opera arias and Neapolitan songs of all time, such as Nessun Dorma, O Sole Mio and la Donna è Mobile. Although released only in Italy in 1996, it sold close to 300,000 copies.